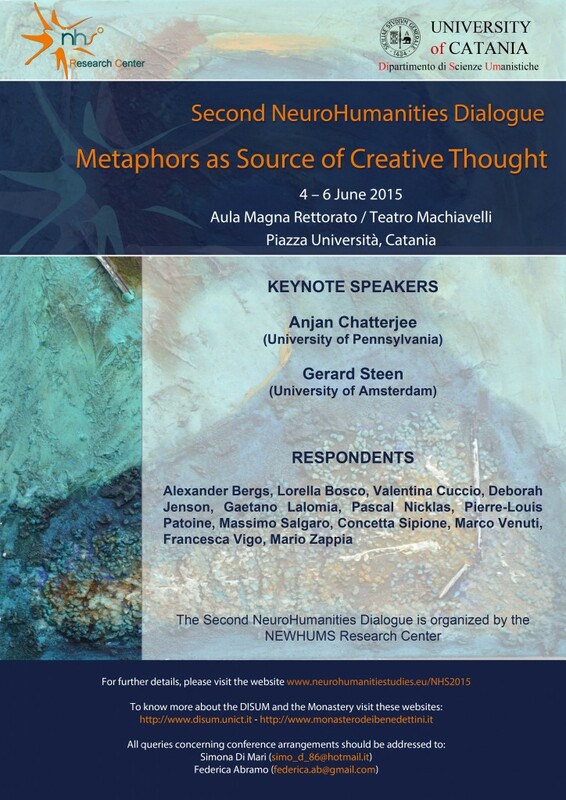 The Neuro Humanities Research Group of the University of Catania (Italy) is proud to announce the Second NeuroHumanities Dialogue, “Metaphors as source of creative thought”, which is going to take place on June 4, 6 and 7, 2015 at the Machiavelli Theatre, University Square, Catania (Italy). 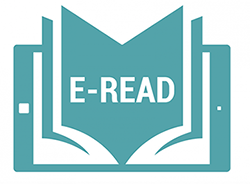 The Neuro Humanities Studies Network, directed by Grazia Pulvirenti and Renata Gambino from University of Catania, from 2011 aims at creating a multidisciplinary research community in order to develop and structure a linking platform for neuro-scientific, cognitive topics and humanities. After an inspiring and ground-breaking First Neuro Humanities Dialogue about “Neuroaesthetics and Cognitive Poetics” at the University of Catania in 2014, the second edition of the Dialogue addresses relevant questions of the recent discussion about metaphors, such as: their cognitive value and the concomitant neural processes, their embodied nature, the difference between metaphors conventionalized in language and discourse and novel ones, deliberate and non-deliberate metaphors. Keynote speakers of the “Dialogue” 2015 are Neurologist Anjan Chatterjee from the University of Pennsylvania and Humanities Scholar Gerard Steen, Director of the Metaphor Lab and Professor of Language and Communication at the University of Amsterdam. The peculiarity of the meeting relies on its format: a real dialogue between two keynote speakers and ten discussants from University of Osnabrück (Germany), Potsdam (Germany), Warsaw (Poland), Duke (USA), Paris III (Sorbonne Nouvelle, France), Bari, Palermo e Naples (Italy). The convention is going to take place at the Machiavelli Theater, historic site in Catania, which was recently reopened thanks to the effort of the Department of Humanities at University of Catania and the non-profit Association INGRESSO LIBERO, founded in 2009 by the theatre director and pedagogue Lamberto Puggelli.